If you want to be one of the best technicians, you will need to have the comprehensive understanding of phones and tablets how they work, and what their internal components are. The course is practice-based. Our students will learn everything from first hand. Part of the course is the real life, on-site training in one of our shops or kiosks in a major shopping centre. No special requirements. 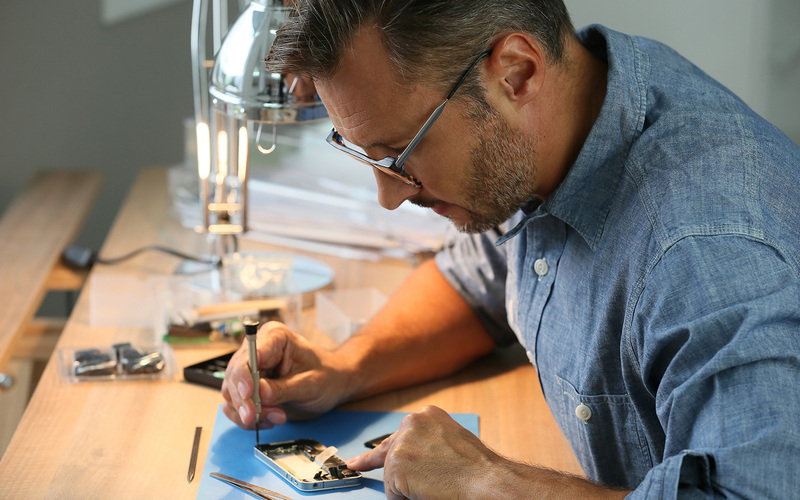 If you would like to become a professional Phone and Tablet Repair Technician, you should attend this course. COURSE DATES: Start date is based on an initial discussion with students. Start dates are flexible. We will try to find the best time that suits you and our trainers. No on-site class meetings are required. The entire course is web-based. We believe that it is not practical for everyone to have time set aside for traveling as well as dedicating his or her time in learning, developing or enhancing a new craft. Our web-based training course conveys very superior training course to your doorstep. Hence our learners will have a better chance of learning from the solace of their own home, office, or anywhere they feel comfortable. To leverage Information Technology and the internet in providing superior mobile phone repair services as well mobile phone repair technician training to our esteemed learners. Please fill out the enrolment form below. Payment details will be sent via e-mail.